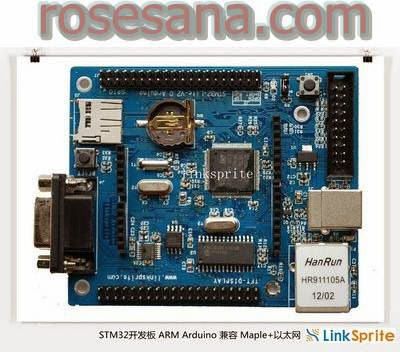 Spruce -LinkSprite STM32 ARM cortex board can be used with OpenJTAG and is compatible withmini ARM cortex-M3 board . It can be used in GCC+Eclipse+openocd+openJtag and Arduino enviroment! When used in Arduino enviroment, it is compatible with Maple. Spruce has Arduino compatible shield pins, all the Arduino shields can be used on LinkSprite STM32 cortex board. Arduino similar IDE can be used to download Arduino code to Spruce board. 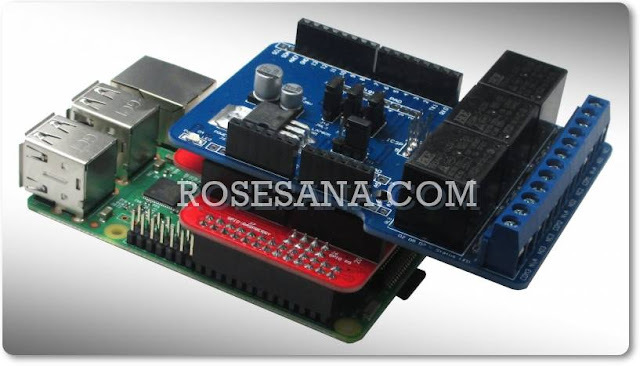 In Arduino IDE enviroment, it is fully compatible with maple, and all arduino shield. The bootloader is flashed through RS232 port, and the arduino program is downloaded frm USB port. The driver of the USB port can be found at the maple IDE. All unused GPIO pins are connected to external headers.